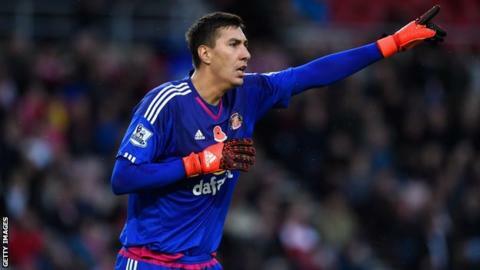 Watford have signed Sunderland goalkeeper Costel Pantilimon on a three-and-a-half-year deal for an undisclosed fee. The Romania international, 28, joined the Black Cats in 2014 and has made 18 appearances this season. Pantilimon has not played since a 3-1 defeat at Chelsea on 19 December and has fallen behind Jordan Pickford and Vito Mannone in the pecking order. He spent three years at Manchester City before joining Sunderland. The Hornets also signed Morocco forward Nordin Amrabat from Spanish side Malaga on Monday.